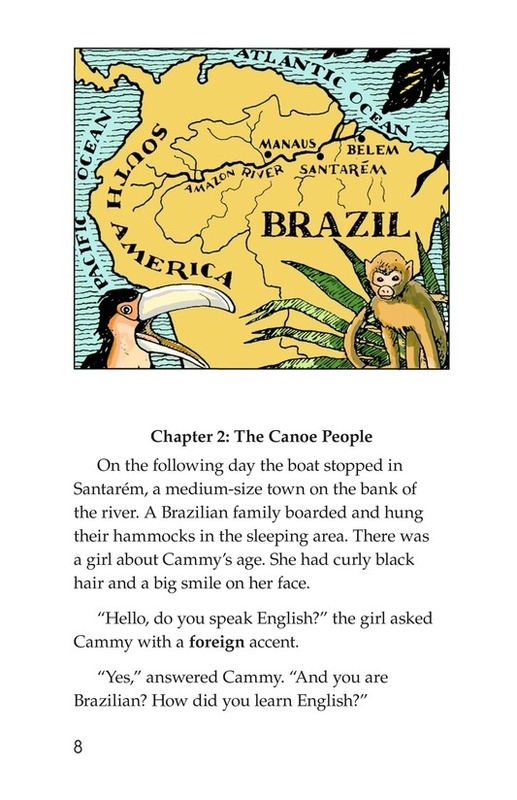 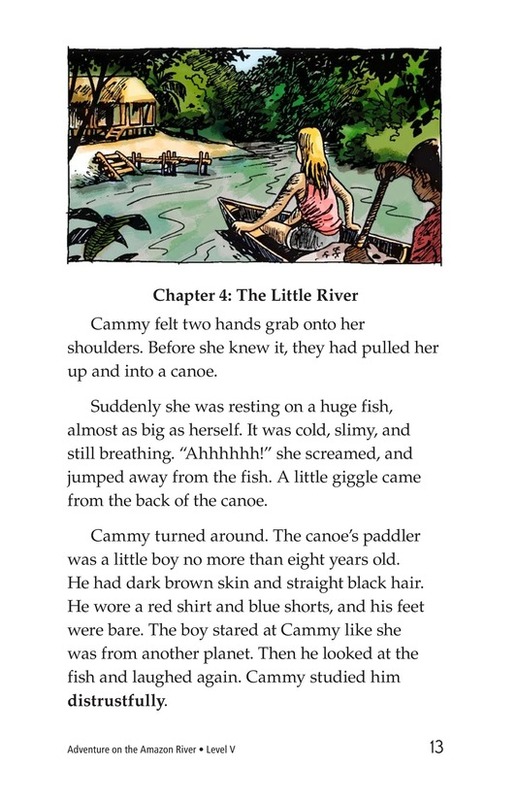 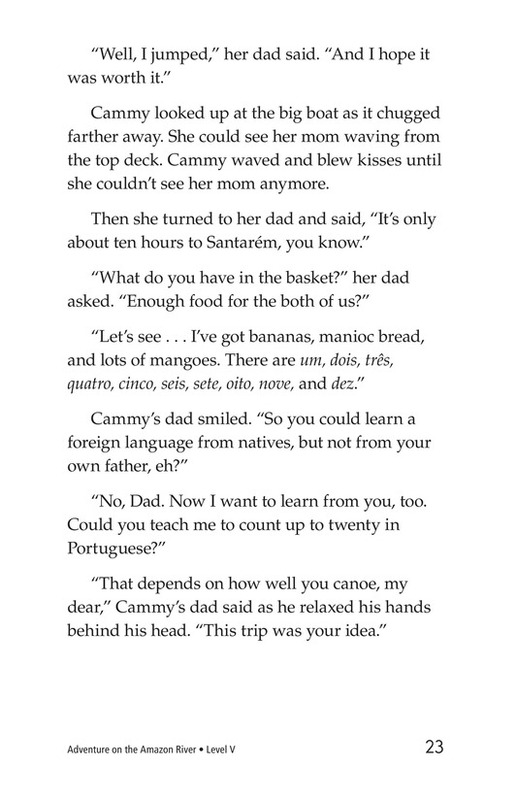 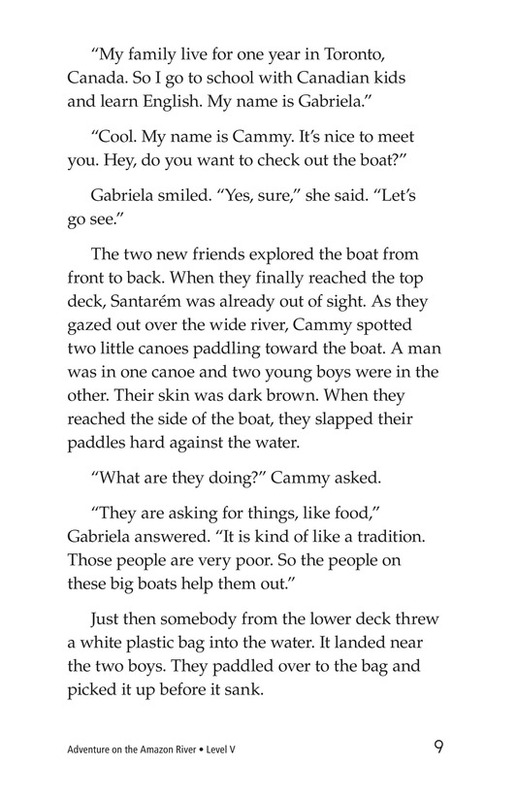 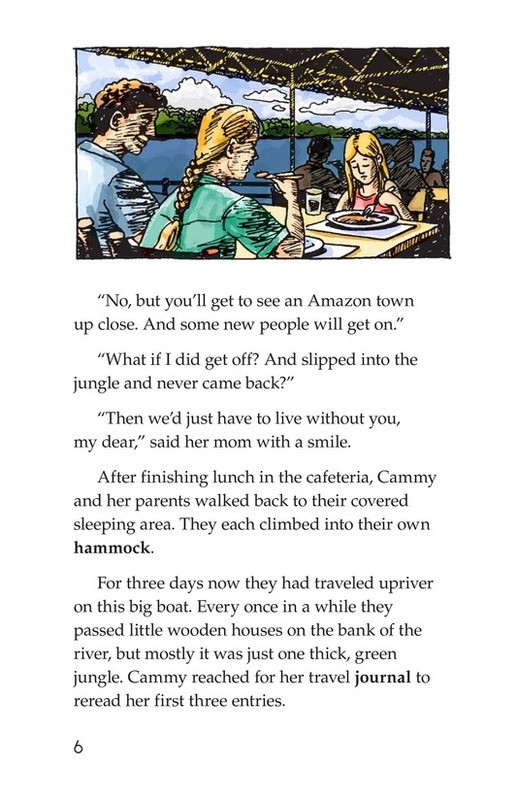 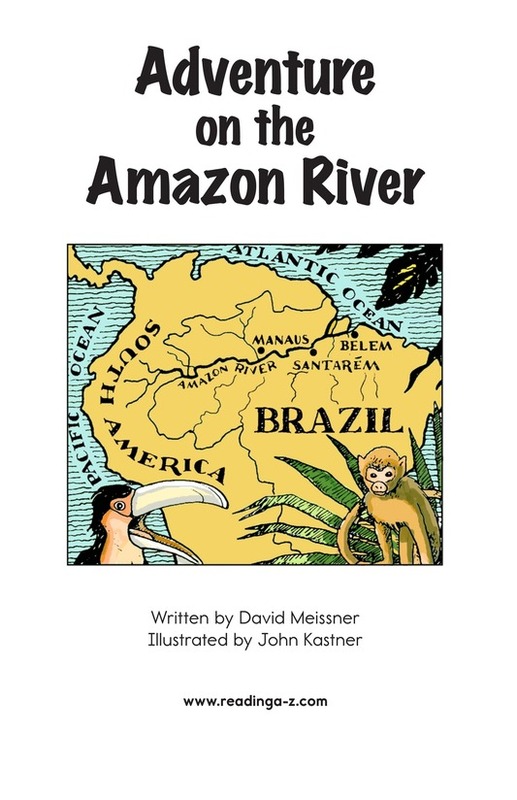 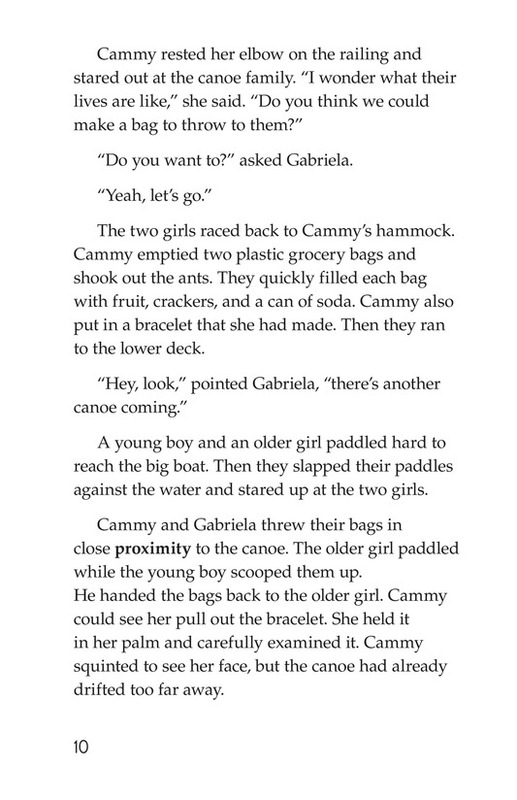 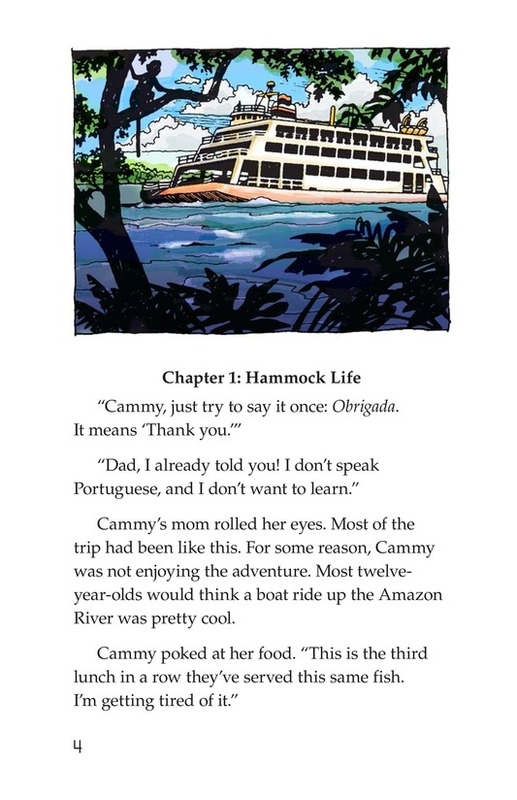 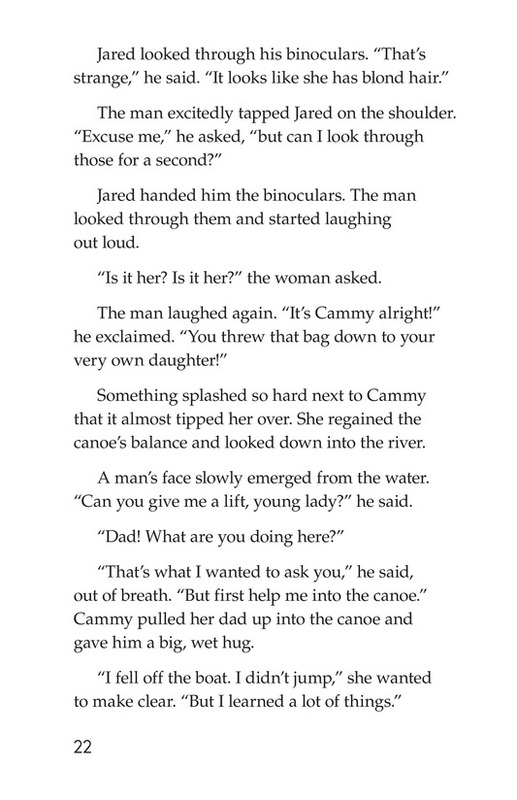 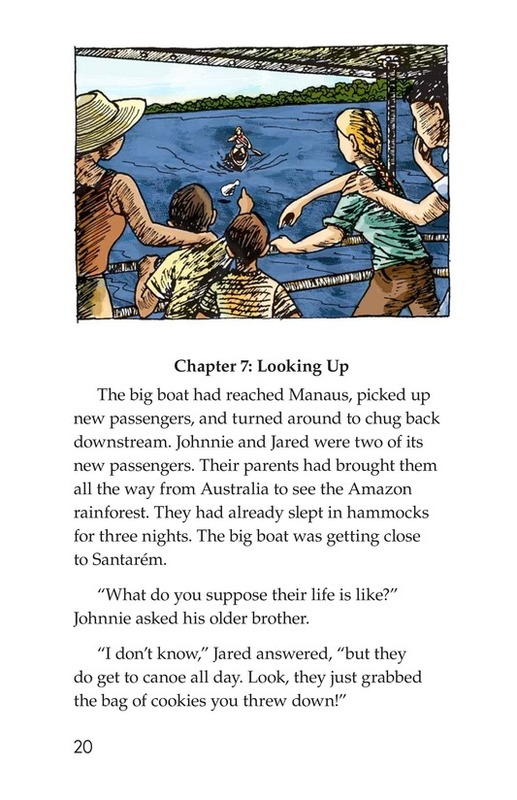 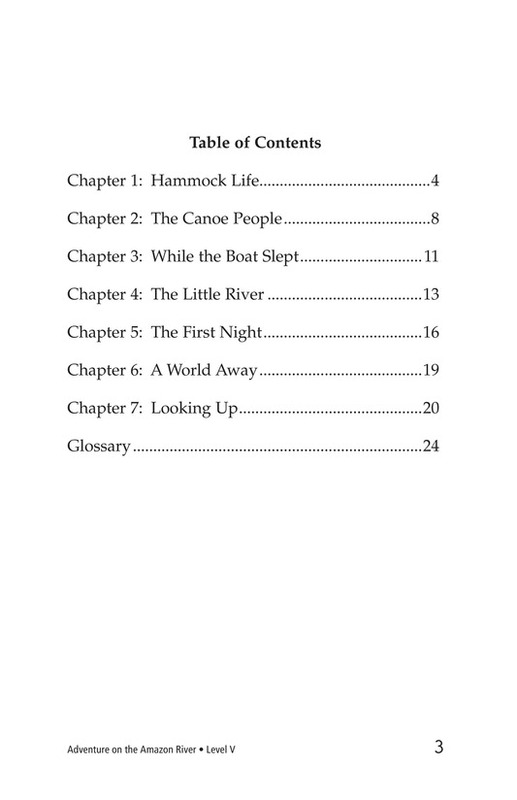 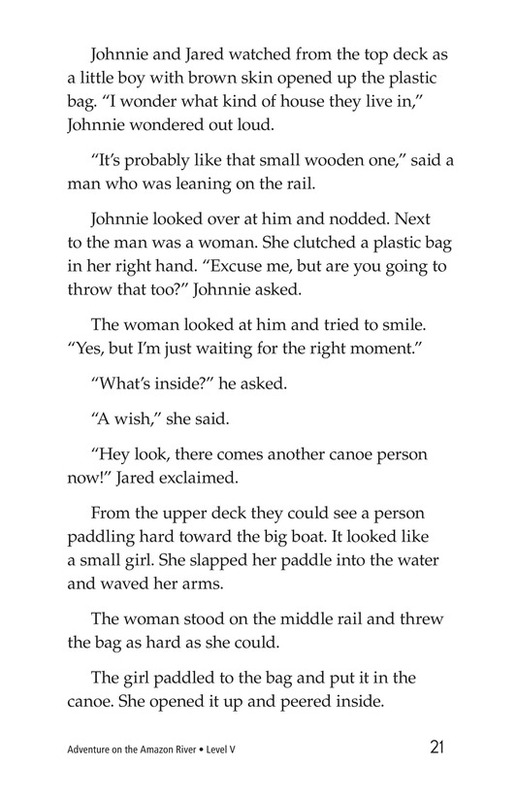 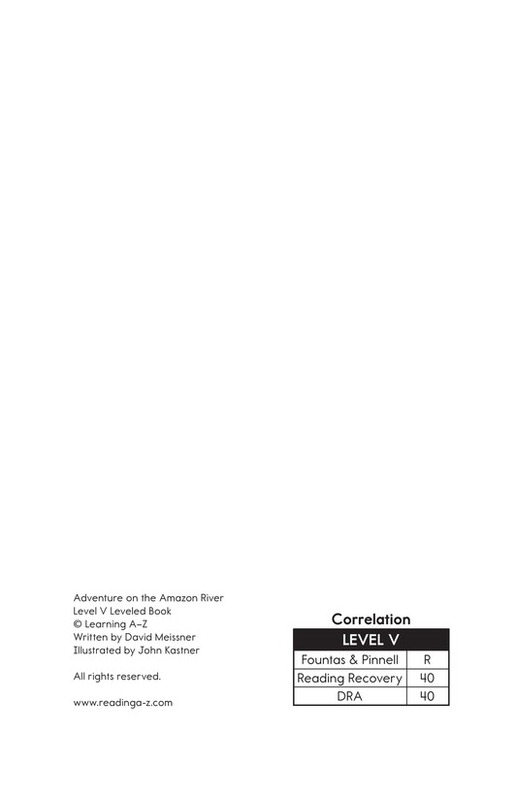 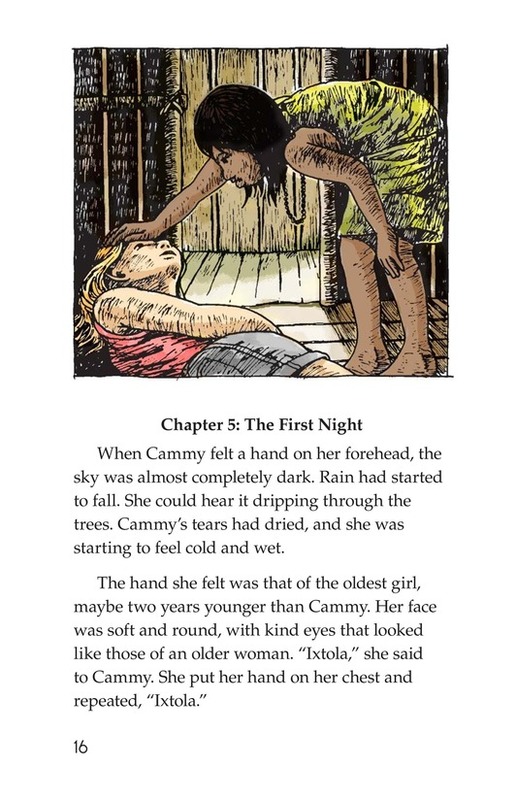 Adventure on the Amazon River is about a girl named Cammy who is traveling on a large boat up the Amazon River with her parents. 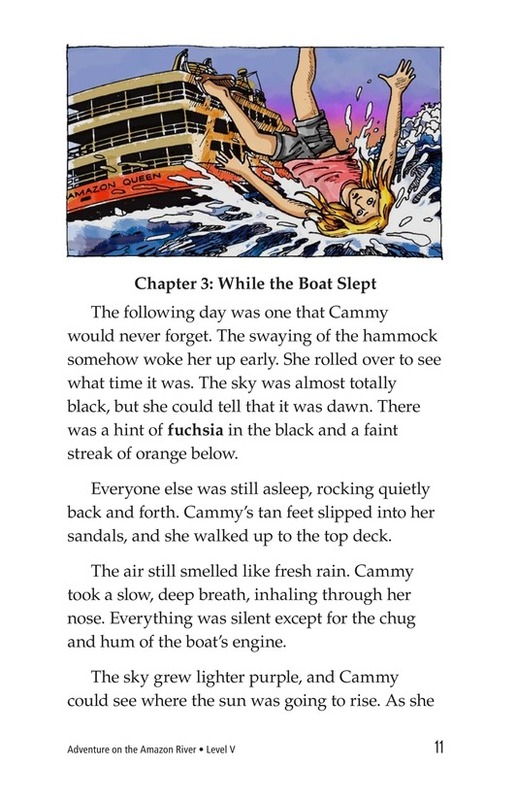 Cammy is not enjoying the trip until a girl her age boards the boat with her family. 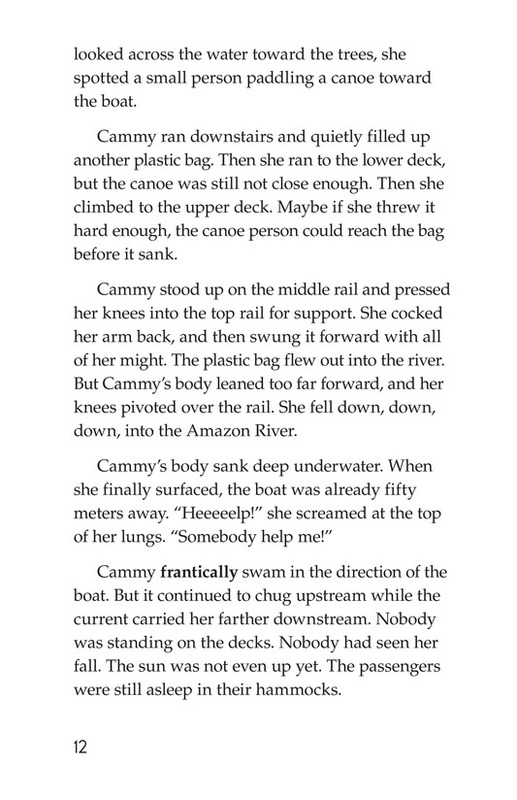 While Cammy is trying to do a good deed, something happens to her. 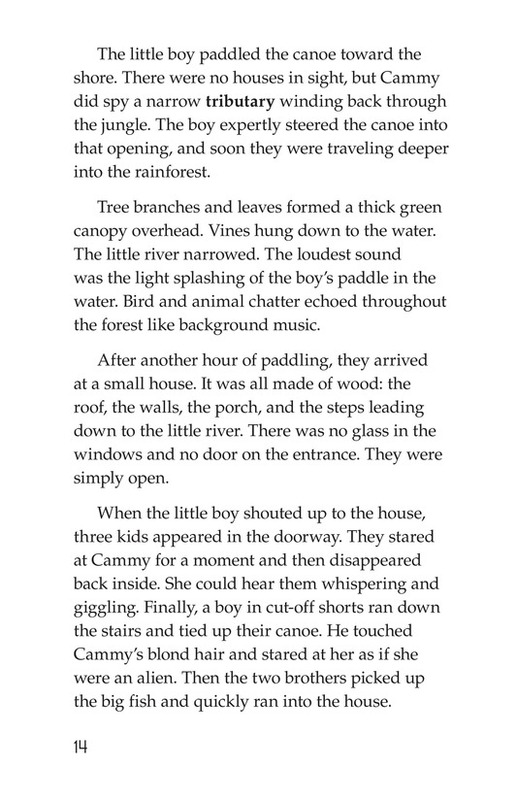 This event is both frightening and exciting. 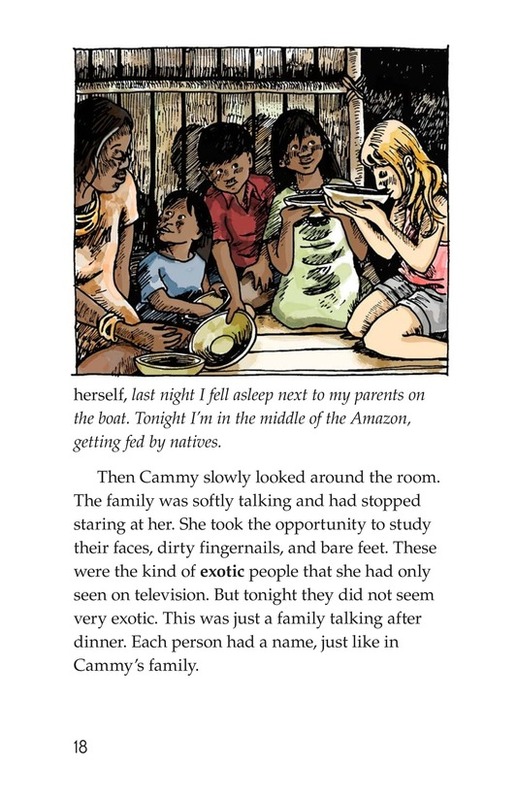 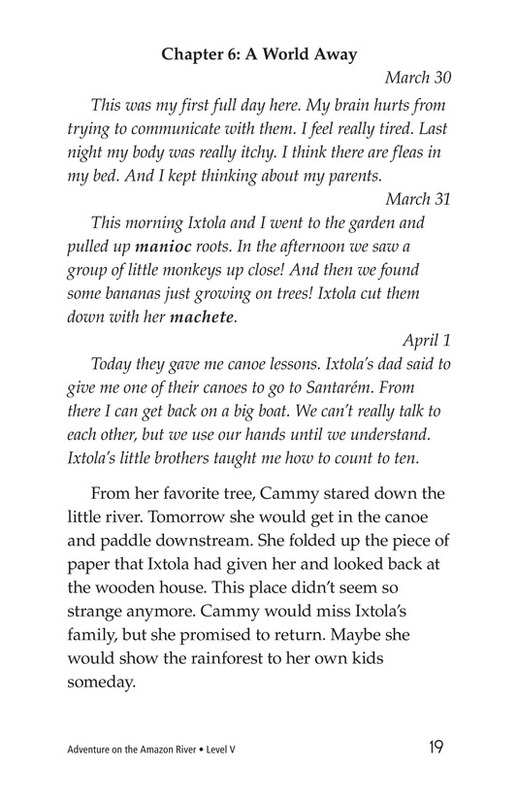 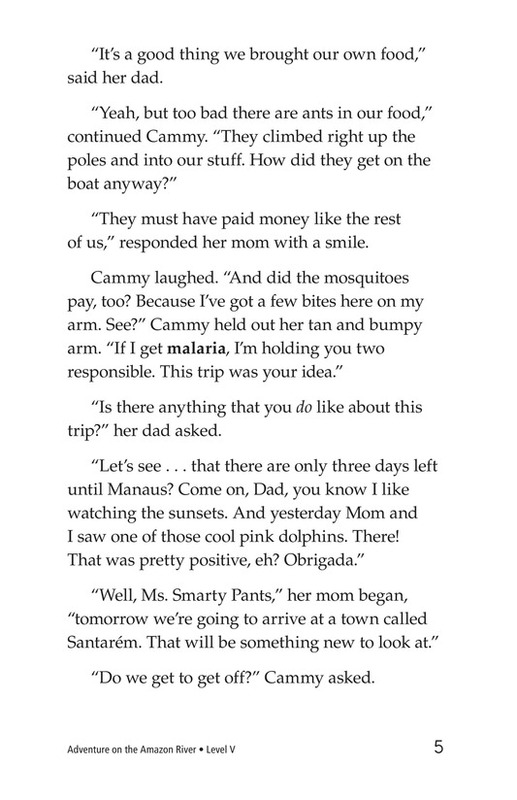 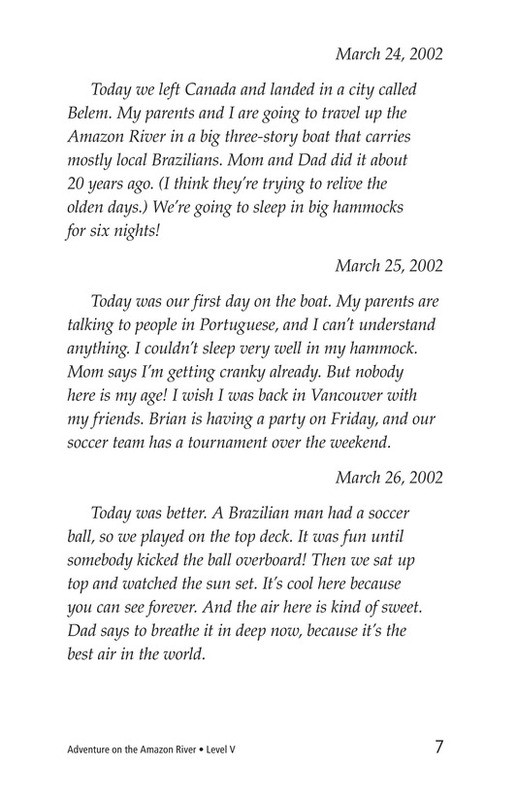 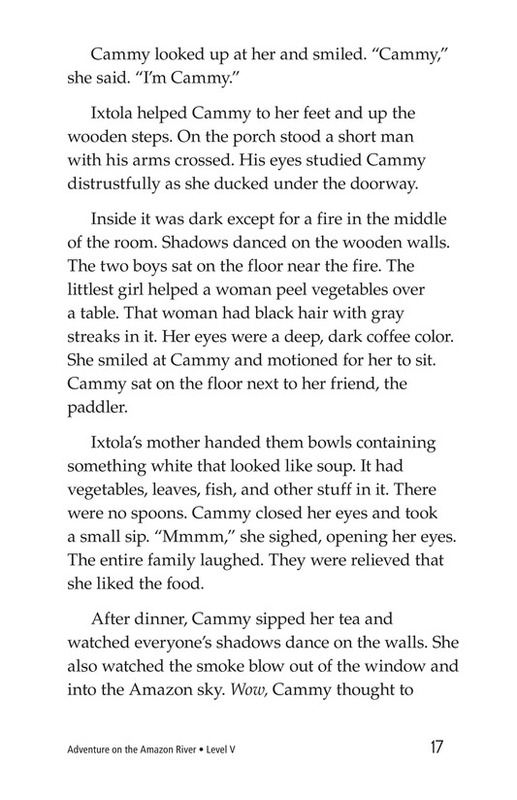 The subsequent adventure changes Cammy's whole attitude about the trip, the Amazon, and her parents. 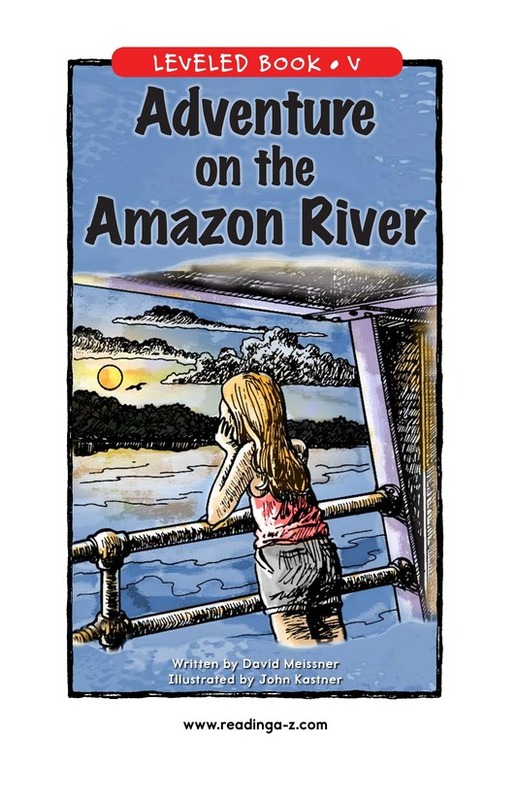 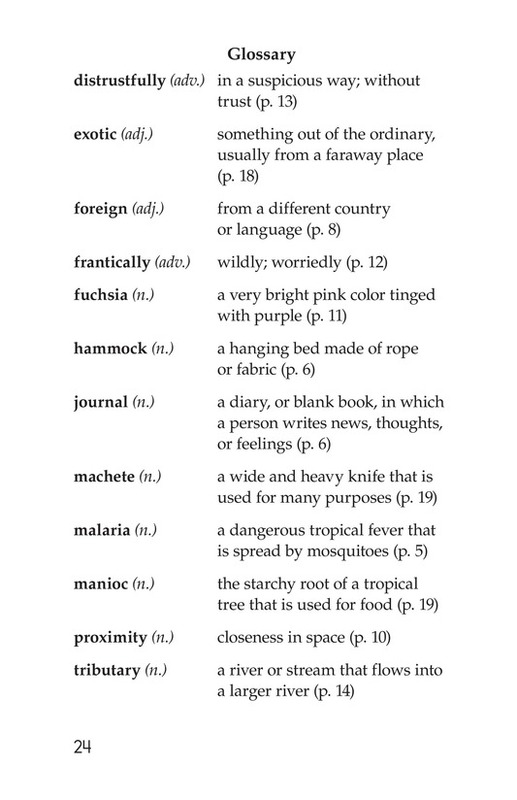 Readers will enjoy the way in which the story builds to a climax and the resolution that follows.